During the ongoing 2019 Milan Furniture Fair, Bentley has revealed a special furniture collection the company designed to celebrate its 100th birthday. The Home Collection consists of a lounge chair, a large table, and a footrest. Each item is labeled ‘Bentley Centenary’ and comes out in a series of 100. All items are hand-crafted using metallic framework trimmed with whole oakwood and finished in liquid gold. 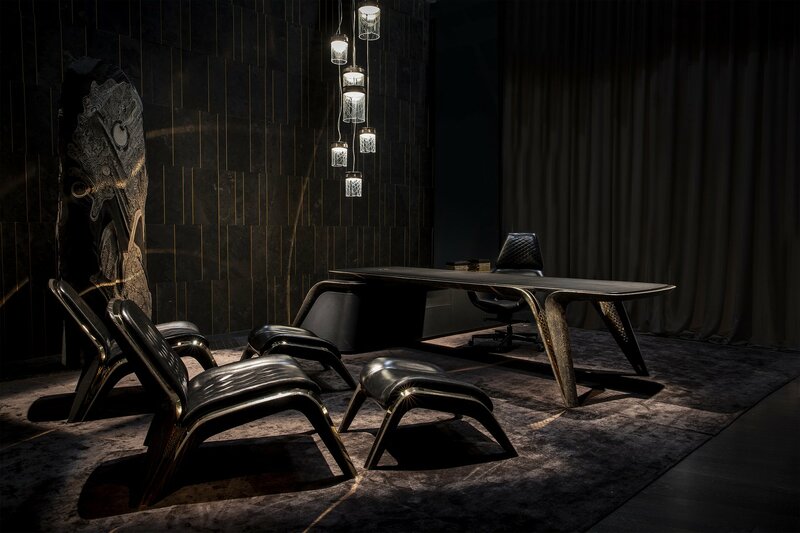 Aside from Bentley, Bugatti also revealed a few modern furniture pieces at the Milan fair. The French car manufacturer scored quite a few astonished gasps from the audience when it presented the Bugatti Home Cobra Chair and a few other pieces trimmed with fine leather, ultra-durable synthetic fabric, and jewels. The design team drew their inspiration from the original design philosophy that the company founder Ettore Bugatti introduced in the early 20th century.